The decades-old campaign against drunk drivers has been a long and frustrating one. Legislators have changed the laws and police officers are much more diligent when enforcing them. But alcohol still causes about a third of the fatal car crashes in Port St. Lucie. That’s basically the same proportion as it was in the 1980s, before the crackdown began. Drunk driving cases work a lot differently in civil court. The burden of proof is much lower. So, obtaining compensation in an alcohol-related car accident is a lot easier than punishing the drunk driver in criminal court. This compensation normally includes money for economic losses, such as medical bills, and noneconomic losses, such as pain and suffering. Additional punitive damages may be available as well, in extreme cases like a collision with a high tortfeasor (negligent driver) BAC level. As mentioned, Florida’s DUI law is very broad. People with a BAC above the legal limit, which is normally .08, are usually guilty of DUI as a matter of law. It’s also illegal to drive under the influence of alcohol or any other substance if that substance impairs the normal use of one’s mental or physical faculties. Because of this broad law, most alcohol-impaired drivers are charged with DUI. Officers only need probable cause to levy these charges. In Florida, “probable cause” is slightly more than an evidence-based hunch. That violation substantially causes injury. The negligence per se shortcut may only apply if the tortfeasor violated a criminal law, like the DUI law. 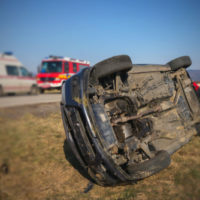 In other cases, such as speeding or making an illegal turn, negligence per se is only a presumption of negligence in Florida. There are some differences between intoxication and impairment. For example, most people must consume three or four drinks before they are intoxicated. But, impairment begins with the first drink. So, a tortfeasor might be impaired and not legally intoxicated. In other words, the driver might be too drunk to drive but not drunk enough to support DUI charges. Such evidence is normally sufficient to establish consumption. And, since impairment starts with the first drink, consumption is the same thing as impairment in civil court. The burden of proof in civil court is a preponderance of the evidence (more likely than not). If the tortfeasor just came from a restaurant, bar, or other establishment which serves alcohol, it’s more likely than not that the tortfeasor had something to drink. So, an innocuous question like “Where were you coming from?” could make a big difference in terms of liability. This point is even stronger if the tortfeasor had even one of the physical symptoms mentioned above. Point-of-departure evidence may also establish third party liability. In Florida, commercial alcohol providers are vicariously liable for damages if they sell alcohol to underage people or persons who were habitually addicted to alcohol. Vicarious liability is particularly important in wrongful death and catastrophic injury situations. Sometimes, these tortfeasors do not have enough insurance coverage to provide fair compensation on their own. Impaired drivers often cause serious injuries. For a free consultation with an experienced personal injury attorney in Port St. Lucie, contact Eighmie Law Firm, P.A. We do not charge upfront legal fees in these cases.